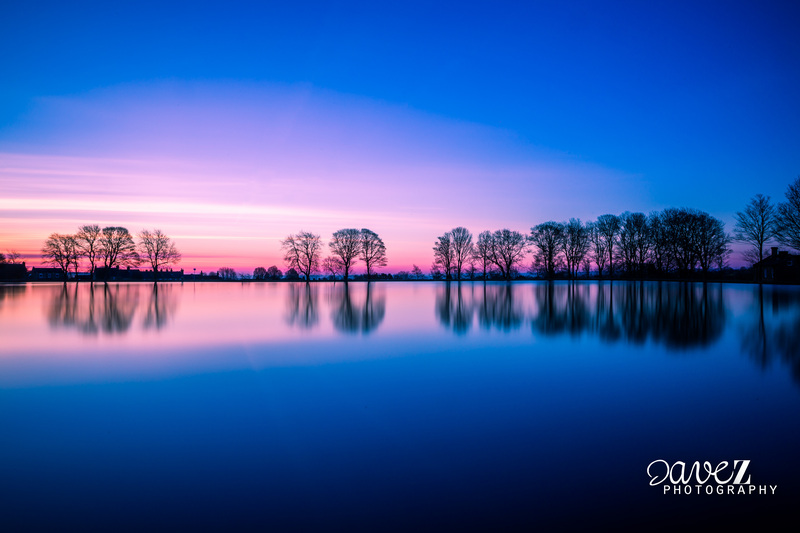 Dave Zdanowicz: I got my start in photography only two years ago in July 2013. My friend was selling his old DSLR camera and sold it to me at a good price. In addition, at around the same time I was obsessed with looking at other photographers on Instagram and wanted to learn how they made their pictures look so great. Since then, I’ve never looked back. What approach do you take with your photography? My approach is fairly laid back. I love picking a location and heading there at either sunrise or sunset. I try to do something unique or capture a shot someone else might not look for. I use a Canon 6D, Canon 17-40L series wide angle Lens, Tamron 24-70SP, and Tamron 70-200SP. These are all great lenses. I am happy with all my gear as the gear has helped me produce superb results. I would recommend Canon to anyone. Were you self-taught or did you have a formal education in photography? I am self taught. I do photography with my father so we learn from each other. I’ve never had any formal training. I think going out and shooting is the only way to learn and experiment with different settings. These beautiful images show different areas of the English countryside. Your use of dramatic colors and lighting is unique. Tell us a little bit about these images. The top image depicts the road to Edale (Mam Tor). 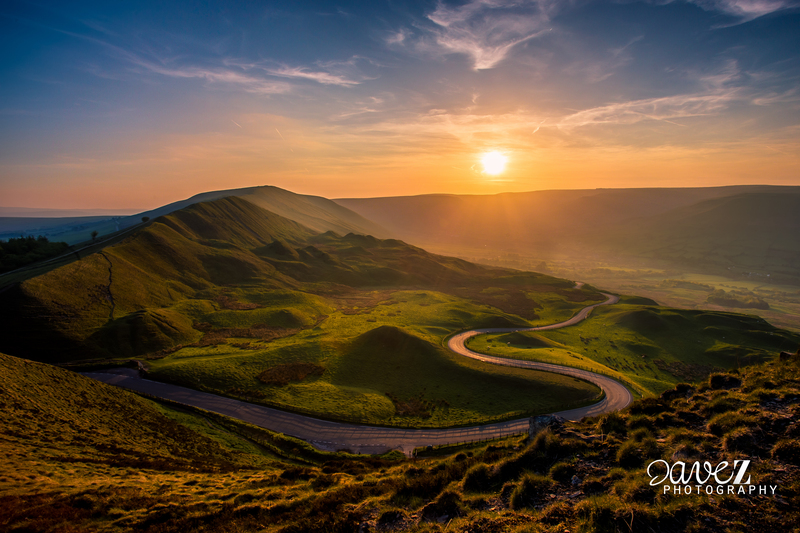 This was taken on top of Mam Tor in the peak district. I love the view from the top of this hill because it is absolutely breathtaking. The road is just perfect and the fact the sun sets at the end of it was the icing on the cake. I burnt a fair few calories getting up the hill. It nearly killed me, but thankfully I came out alright. This one is Harold Park Winter. This is one of my favorite spots to take photos. I live over the road from it so it is a great location to practice new techniques. I took this shot in the winter and the reflection on the pond was perfect. 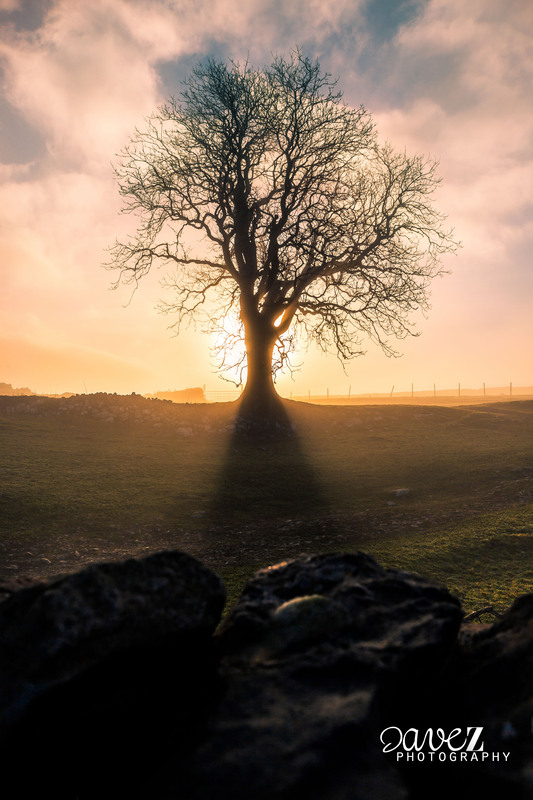 This one is Behind the Tree (Malham). This was a magical morning for photography. The entire village of Malham was under light cloud. It muted the sun which gave a really great effect. What about photography do you enjoy the most? I just find it completely relaxing. I forget every worry that is on my mind when I am shooting photography. The other benefit is that I get to visit new places and check out the amazing scenery. Dave Zdanowicz is an emerging photographer from Bradford, West Yorkshire in England. Shooting regularly with his father, Dave has been keeping up with his growing reputation as a landscape photographer. He is the recipient of the “Reader’s Choice” title in BBC’s Countryfile Magazine for one of his winter landscape shots. His images have been published in England. For more information about Dave, click here. All images © Dave Zdanowicz.